Famous French philosopher, Jean Jacques Rousseau once said that laws were meant to protect and promote the general will of the people whilst restricting harmful freedom for those with selfish desires. However, in the case of Pakistan, the legislation and execution seems overwhelmingly dominated by self-serving motives of the rulers to secure and prolong their rules. On August 14th, 1947, Pakistan was carved out on the map of the world for the Muslims of India to live in peace and harmony, according to the principles of Islam; free to pursue all spiritual and worldly endeavours in a homeland of their own. Today in 2018, I look back at the history of the last 45 years, trying to evaluate whether the famous 1973 Constitution provided the guidance for governance and progress or not. By what I see is that we need to change course at the earliest as we are going down politically, economically, socially & morally. Should this constitution be given a major overhaul or should we start afresh? Is the present constitution serving the people of Pakistan or is it a tool for governing elite selectively apply rules to consolidate their hold on the power corridors and illiterate masses through a closed loop system of governance imposed by 1973 constitution, where we as public have one shot at elections, and are told to keep our ears, mouth and eyes shut for five years? Let us not forget that in last 45 years since 1973, Pakistan People Party has ruled federal government for 4 terms, Pakistan Muslim League-Nawaz (including IJI) for 4 terms (including Zia’s period) and PMLQ — one-term (under Musharraf). They all took an oath to uphold the same constitution and yet not one government delivered what was stated in Article 37 and 38 that is the nutshell of what people would get from the successive governments. There have been no roadmaps, no progress evaluation and no accountability. The governance system has failed to meet any goals; in fact, every successive government has sunk the nation financially, making Pakistan amongst the most corrupt nations. Imagine there is no watchdog institute to judge the governance performance. What we have seen in 45 years is that every successive government not only lacked governance capabilities but interfered with the normal functioning of government to achieve their personal financial targets through misuse of offices. So much so that until today, there is no system to manage national calamities like floods, earthquakes, health-care or terrorist emergencies, even though we almost have then as an annual event. The same political forces always call upon one institution — the Army for help and yet malign it continuously otherwise. The Constitution is totally silent on what to do when political stand-offs develop to create emergency situations. The only option given is vote-of-no-confidence, but the reality is that it is more applicable for an in-house change of the party leading Prime Minister or Chief Minister who already have a majority in the first place. This is an important undertaking by the state, since education, in contemporary times, is considered an important tool for enhancing one’s chances for socioeconomic development. However, we see no improvement in education anywhere as there is no implementation. Another major implication of the 18th Amendment for education was that the curriculum, syllabus, planning, policy, centres of excellence and standards of education will fall under the purview of the provinces. Basically, the provinces do not have the capacity or the financial resources to cope with the huge challenge in front of them. 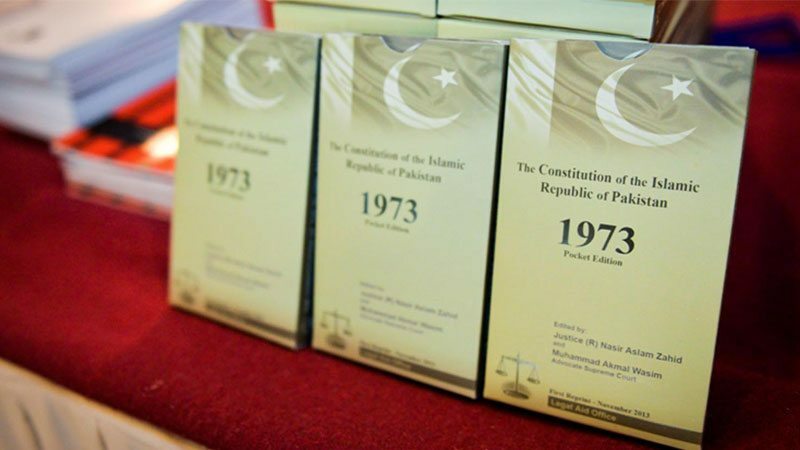 It has been argued that the contents of the curricula should remain with the federation since the provinces could take liberties, which may result in putting the unity and ideology of the country at risk. There needs to be one system of education for all provinces so that they can compete with each other — this being one of the many things that need to be done. Also, the constitution does not allow anyone to head a political party if he/she doesn’t fulfil Article (62) and (63) of the constitution which says he is Sadiq and Ameen. Our Ex-PM Nawaz Sharif conveniently passed an amendment in an act of the constitution, taking his lawmakers on board and became President of his party, the PMLN. Eventually, the Supreme Court of Pakistan intervened and disqualified him. Ideally, the constitution shouldn’t allow this sort of act, which is done for anyone’s self-interests. Law should facilitate the co-existence of free living individuals, but Pakistan’s law usually attempts to sap the freedom and diminish any accountability of the rulers. President Ayub Khan through the 1962 constitution, Prime Minister ZA Bhutto through the 1973 constitution and the first 6 amendments, President Ziaul Haq through the 8th amendment, President Musharraf through the 17th amendment and Prime minister Nawaz Sharif through the 13th amendment of the 1973 constitution attempted to increase their powers and lessen the accountability checks on them. In my opinion, there is no overhaul of the constitution needed but it must be ensured that it is implemented in its true letter and spirit. The writer is MBA graduate and Lahore-based political activist, based in Lahore. 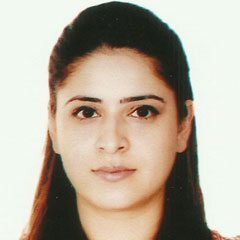 She can be reached at Email: sarah.ahmad@insaf.pk, Twetter: @SarahAhmad_PTI Published in Daily Times, March 13th 2018.